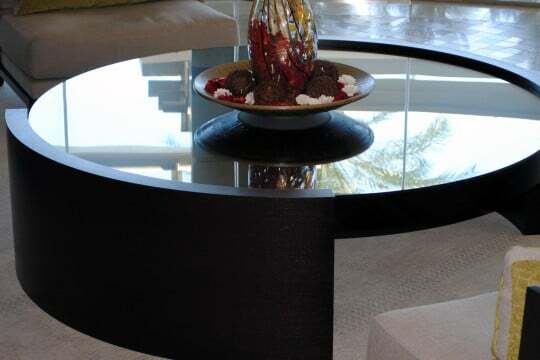 Ebony and Glass Coffee Table - CK Valenti Designs, Inc. 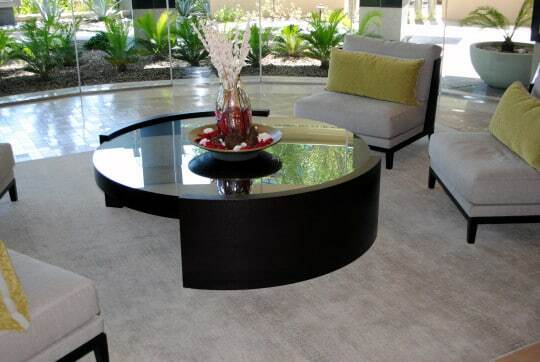 Designed by Anita Lang, Founder and Principal Designer of IMI Design Studio, this sleek coffee table is a featured piece in the lobby of Phoenix’s Esplanade Place condominiums. The round top, made of Macassar Ebony with a dark stain that mutes the aggressive wood grain, sits atop curved Wenge “legs”. A layer of glass covers the wood top. 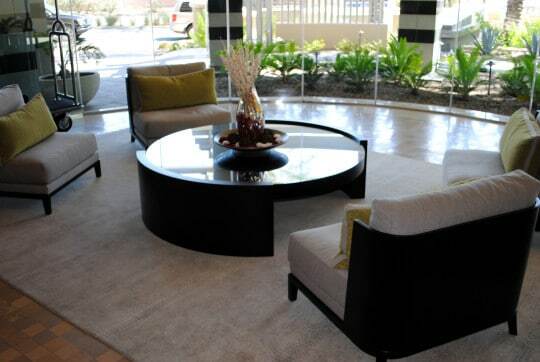 The table creates a striking, yet functional centerpiece for the lobby’s seating area.